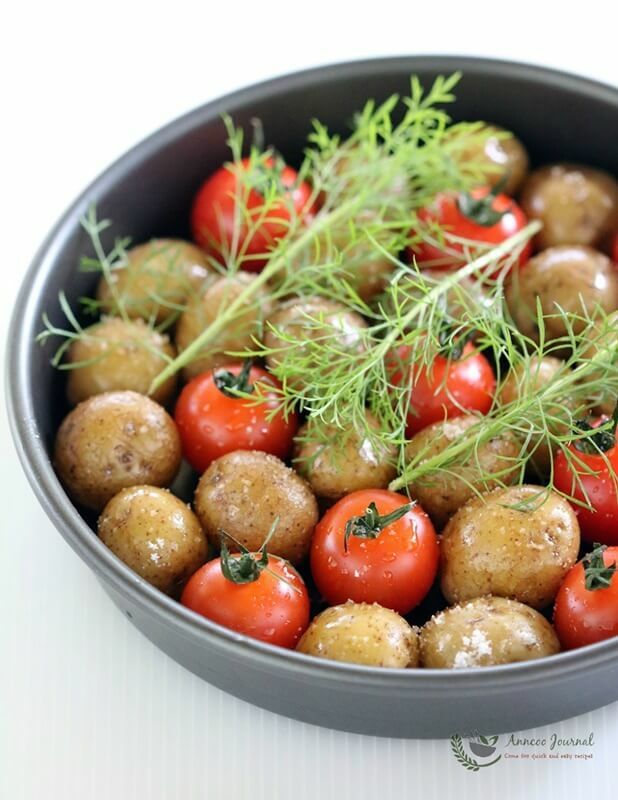 These baked baby potatoes with fresh dill are super easy to make. 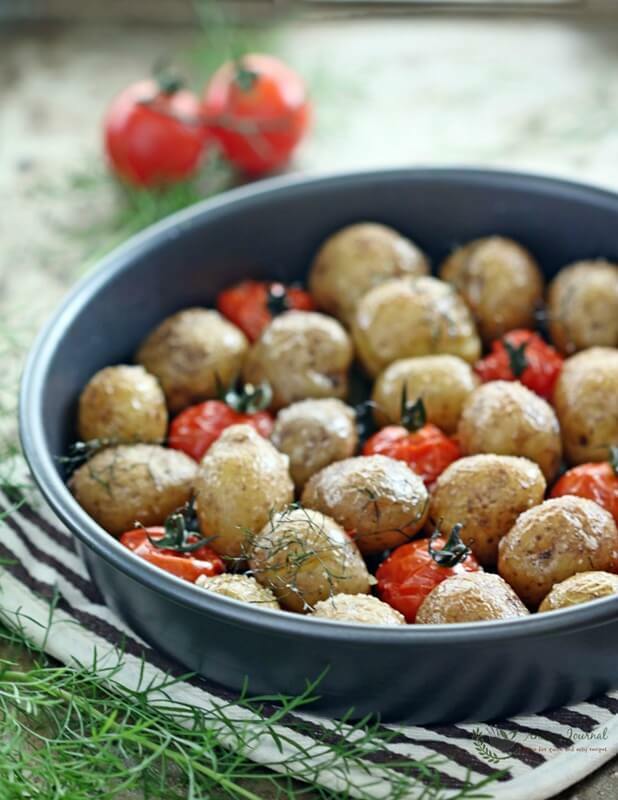 They can be served on their own as a snack, but they are also a perfect companion as a side dish particularly for the up-coming Christmas holiday. 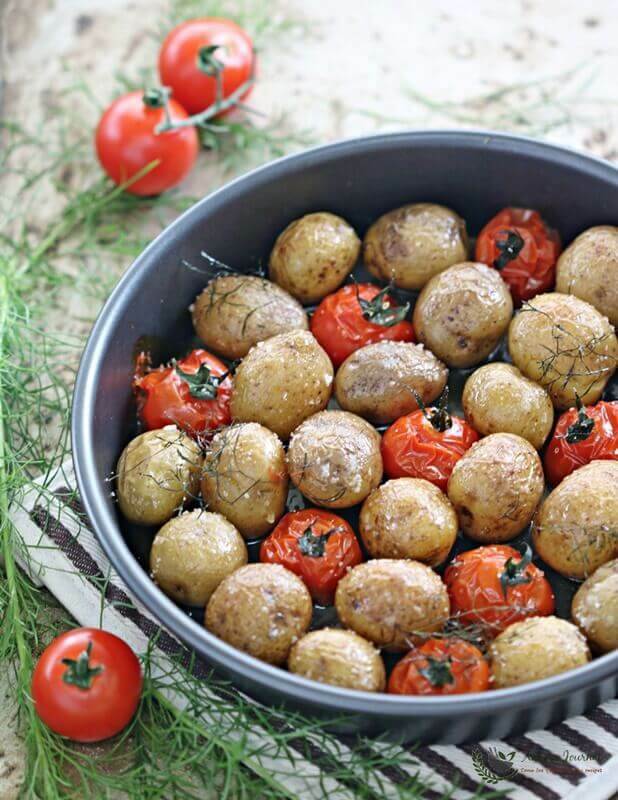 These baked baby potatoes with cherry tomatoes, a sprinkle of sea salt, and olive oil smelled wonderful while baking in the oven. Bacon strips can be added if you don’t like to use salt. Adding chopped garlic and cheese is another great way to enjoy this delicious snack. 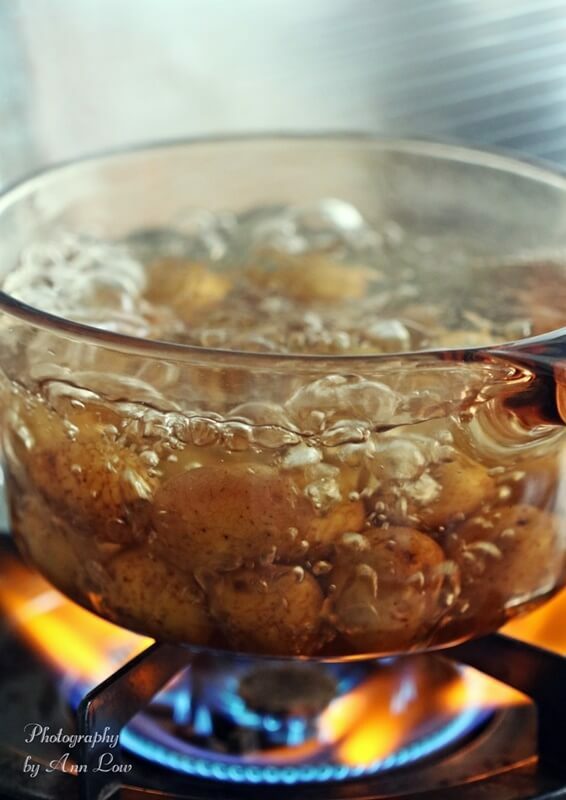 Wash and scrub potatoes thoroughly, then parboil potatoes in a pot of water until ender but not mushy, test it with a fork - about 20-30 mins and drain. 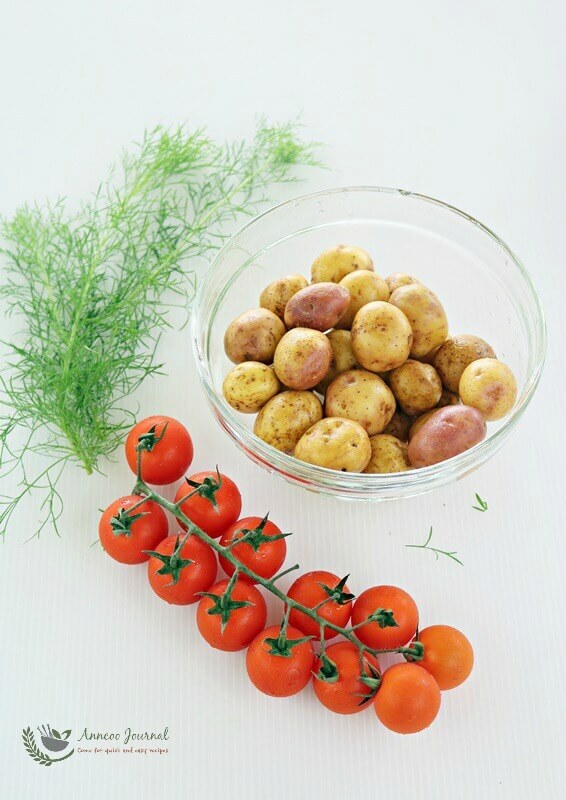 Then toss potatoes with olive and place in baking pan together with cherry tomatoes. Sprinkle some sea salt and place dills on top. 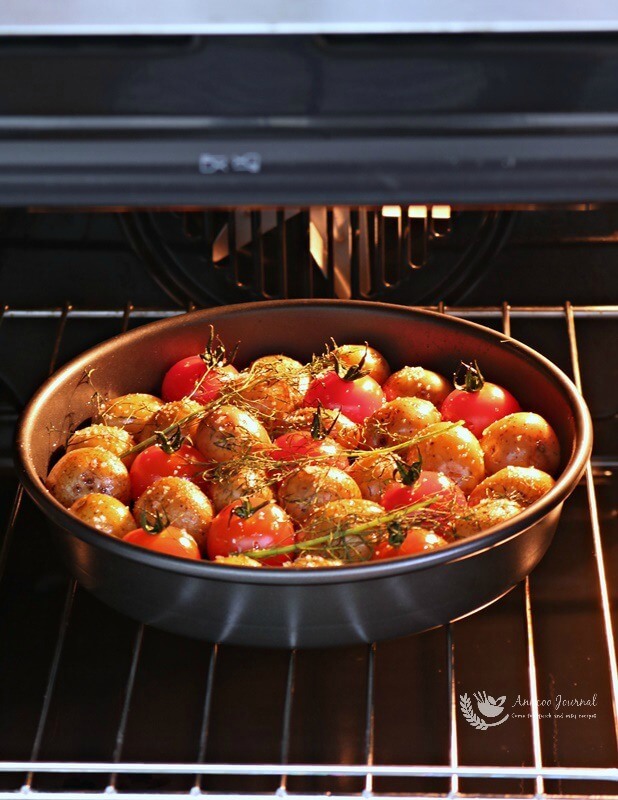 Bake in the preheat oven at 200 deg C for about 25-30 minutes and serve. Simple yet divine! So much better than the fries.